Show season is rolling along! 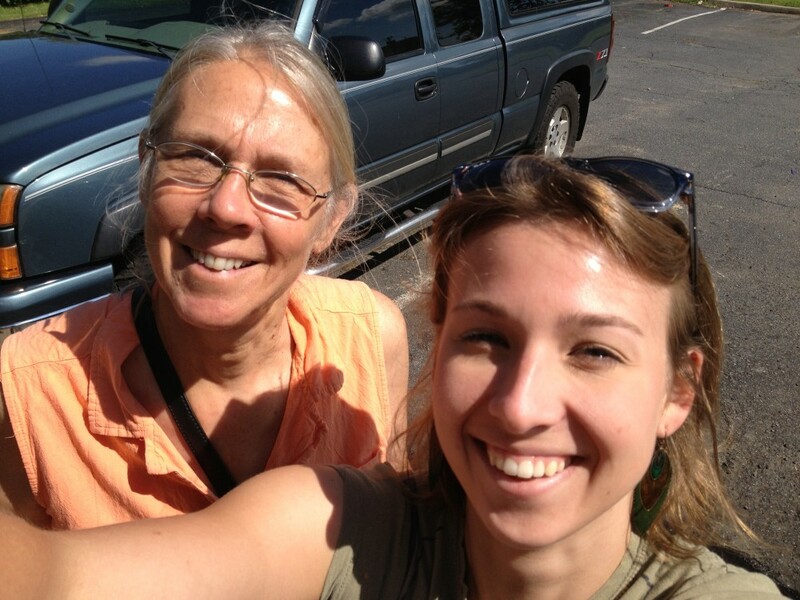 This past weekend took Mom and I to Leesburg, Va. I did this show drive in two legs. 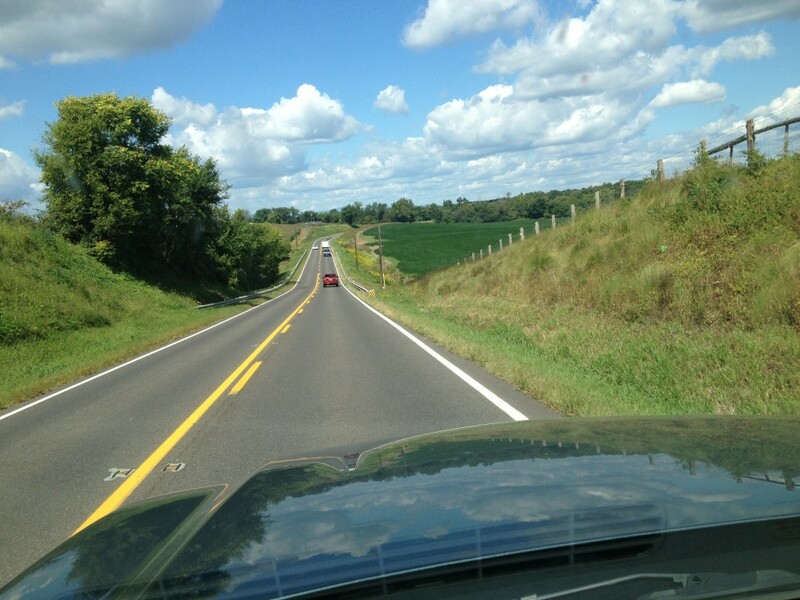 The first being boring ‘ol 95 up to VA to pick up my helper:) The second was a beautiful scenic drive up to Leesburg. It was twisty and turny, but at least it was entertaining. This was my best show last year so I was really excited to be going back. We were going to have perfect weather all weekend and I was hoping the crowds would be in the same buying mood they were last year. But even though I was trying to give it realistic expectations I was a bit disappointed in the sales this year. But it wasn’t a complete bust. Many small pieces found new homes as did many prints. Oliver, My Balloons, Cory the Chameleon, Harvest Treat, Madame Cluck and Wallis were taken home! 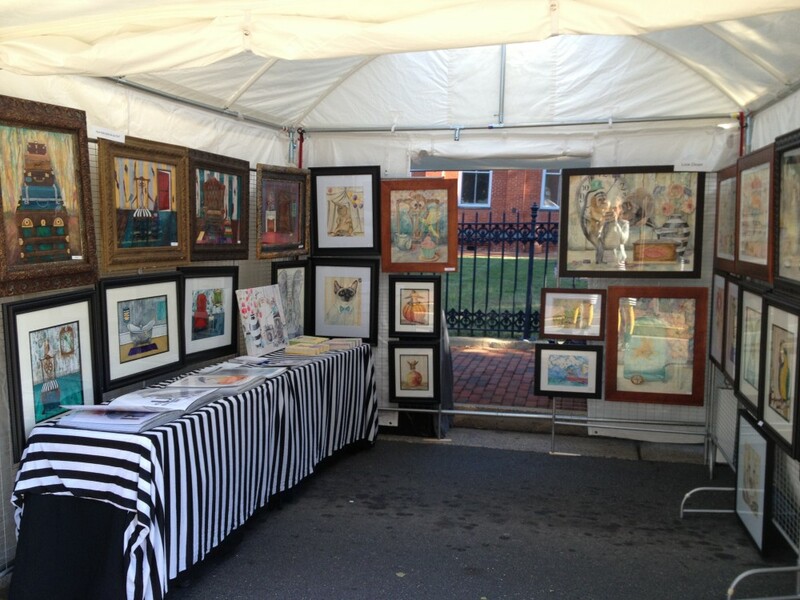 I have been trying a more streamlined booth set up to focus the attention on my paintings. I have been quite happy with it. 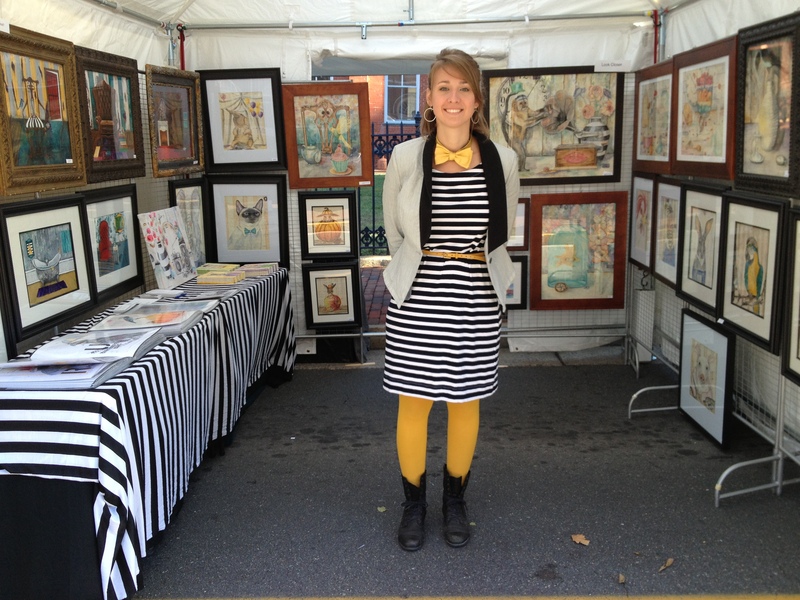 It leaves more room for people to comfortably browse the booth while still keeping a little quirkiness. I also have discovered my favorite show outfit to date! :) I can’t resist black and white stripes and I finally got a bow tie! Many of my animals get to sport them and I was getting a little jealous. So with the help of a few youtube videos I am now a proficient bow tie tier. I was in good company for this show. My show neighbors were great, I got to see some high school friends and the crowd was friendly. So the only thing missing were a few more big sales. But better luck next time!